Step over the threshold and let the charm of this quintessential Maine cottage, recently tastefully renovated, transport you back in time. While away a lazy afternoon on the wrap-around porch enjoying the sweeping Atlantic views and refreshing breezes on the Nubble.. Only steps from all York Beach has to offer--spectacular beaches, trolley rides, Goldenrod taffy, fine dining, Animal Forest Park evening concerts, unique shops and galleries--fun for everyone! 'Nature lovers'--bring your binoculars-- 'The Bird's Eye View' will not disappoint! 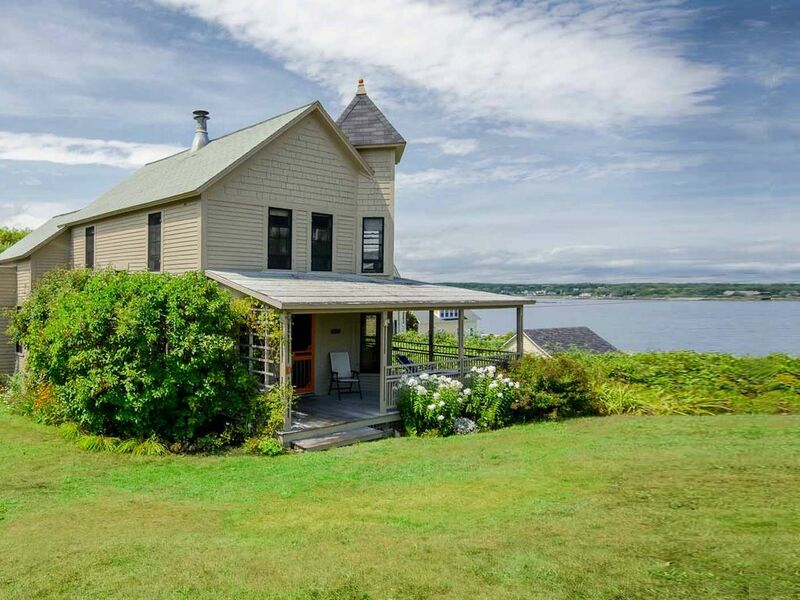 This is a classic old seaside cottage, very cute and well maintained, with nice kitchen upgrades. Paula was great - showed us around and quickly responded when we couldn't figure out the gas heater. Couple of things to be aware of (for people who aren't from Maine! ): (1) this is a summer cottage and has only some space heaters for chilly weekends in October, and (2) bedrooms are upstairs and bathrooms are downstairs and at the opposite end of the house - this was a bit of an issue for my 85 year old parents getting up at night. However, my parents kept saying this reminded them of the old farmhouses they grew up in, and we all had a great time. Our family and another stayed at The Bird's Nest for our family wedding and vacation we took to York. The house is beautiful- the ocean views from the rooms, the screened porch for morning coffee or a light snooze, the full kitchen and double bathrooms, it was truly gorgeous. Half a mile from beach and town fun, it's the prime spot! Paula was so helpful during the process- we planned our wedding right on Short Sands Beach, and Paula was so patient and kind with my millions of questions. She was attentive and informative, and very easy to work with. We can't wait for our next opportunity to go! This place was a dream come true! It had everything we were looking for, comfort, quite, relaxation and close to things to do! My husband and I stayed last September for our Honeymoon! After a long 18 months of preparing for our wedding this was the perfect place to continue the magic of getting married and relax after it all! My husband caught a striped bass off the beach our first night in! We ate on the screened porch for every meal, overlooking the beautiful ocean! There was fresh cut mint on the table and a little welcome gift of jam (which my husband loved) and was such a sweat gesture! We felt so comfortable and at home! Lots of things to do and see close by! I can't wait to return and continue returning with family and friends, such a lovely place we look forward to sharing! The house was fully stocked with everything we could ask for and more! Beach chairs, outside shower, etc. We felt so at home, the place is so charming and we LOVED the big screened porch for sipping our morning coffee & tea and flipping through a magazine! Surly a place to enjoy and unwind! Breath taking ocean views!!! Short Sands Beach is just a quick walk away. York has something fun for everyone: the quiet, antique-friendly York Harbor and York Village, rocky shoreline, expansive ocean beaches, carousel and arcades, lobster dinners, ice cream stands, salt water taffy and refreshing salt air await you. The area also features three 18-hole golf courses, nearby salt water fishing charters, whale watching, coastal cruises and Old York Historical Museums.